FF slams decision to hike mortgage rates by 0.5%. Kerry Fianna Fáil Senator Mark Daly has expressed his disappointment at AIB’s decision to shut down 4 bank branches across Co Kerry by the end of this year. Senator Daly has also slammed the bank’s decision to hike mortgage rates by 0.5%. Announcing its interim results for the first half of the year today, the bank confirmed plans to close 67 branches nationwide including those in Waterville, Park Road, Rathmore and Tarbert. It also announced an increase in its variable interest rates of 0.5% to 3.5%. “This will come as a great shock not just to the staff affected but also to AIB customers across Co Kerry, particularly mortgage holders who are facing a considerable hike in monthly repayments as a result of today’s decision,” said Senator Daly. “Local bank branches are a pivotal part of so many communities in Co Kerry. While I recognise that there is a growing trend of online banking, customer service must remain a top priority for banks. 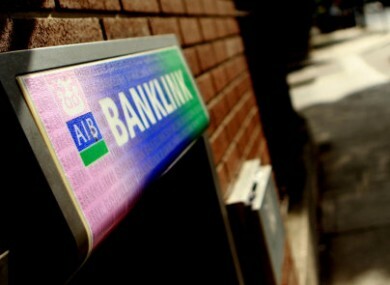 Many of AIB’s customers here are simply not in a position to use internet banking or to travel to branches elsewhere. “AIB’s decision to hike mortgage interest rates is completely unacceptable given that the ECB rate is at its lowest level ever. It will put even more pressure on AIB mortgage holders in Kerry, many of whom are already in serious difficulty with their mortgages. Homeowners with an average sized mortgage will now see their annual payments increase by over €1,000.